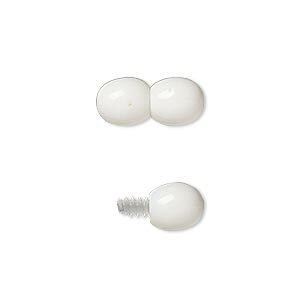 Clasp, twist-in, plastic, white, 16x7mm double oval. Sold per pkg of 4. Item Number: H20-A9659FN Have a question about this item? Finish gemstone or bead jewelry with lightweight, plastic twist-in clasps. With the subtle appearance of an additional bead, clasps coordinate with a variety of colors and hues. 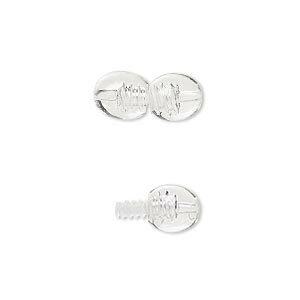 Easy to use, oval ends are strung with a knot which is discreetly concealed inside the clasp. Clasp, twist-in, plastic, clear, 16x7mm double oval. Sold per pkg of 4. 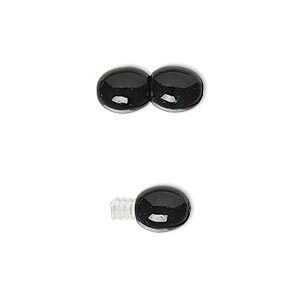 Clasp, twist-in, plastic, opaque black, 16x7mm double oval. Sold per pkg of 4. 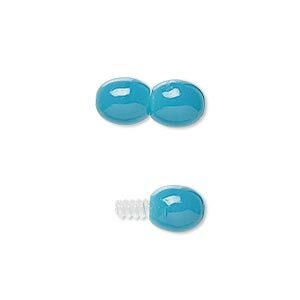 Clasp, twist-in, plastic, turquoise blue, 16x7mm double oval. Sold per pkg of 4. 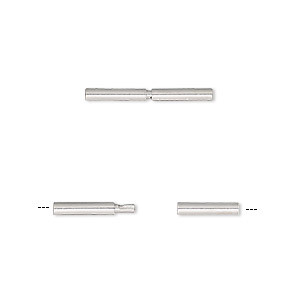 Clasp, twist-in, silver-plated brass, 18x1.8mm tube, 1.4mm inside diameter. Sold per pkg of 6. 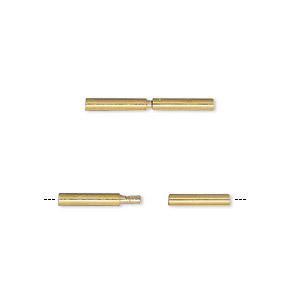 Clasp, tube, gold-plated brass, 18x2mm, 1.4mm hole. Sold per pkg of 6. 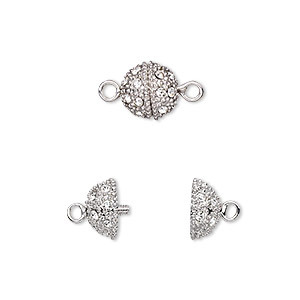 Clasp, twist-in, crystal rhinestone and rhodium-plated brass, clear, 9mm textured round. Sold individually. 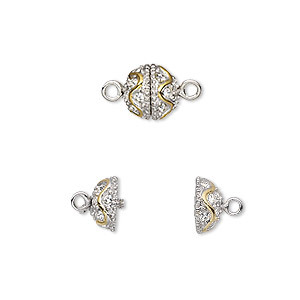 Clasp, twist-in, crystal rhinestone with rhodium- and gold-plated brass, clear, 10mm textured round with wave design. Sold individually. 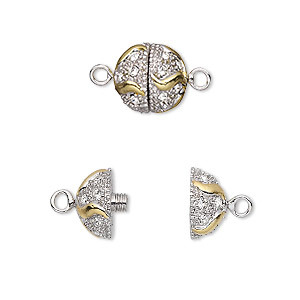 Clasp, twist-in, crystal rhinestone with rhodium- and gold-plated brass, clear, 8.5mm textured round with wave design. Sold individually. 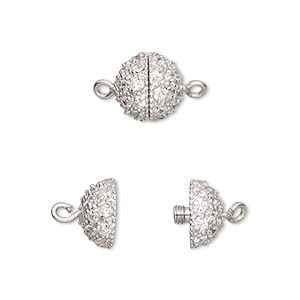 Clasp, twist-in, cubic zirconia and rhodium-plated sterling silver, clear, 10mm textured round. Sold individually. 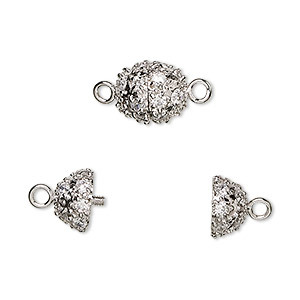 Clasp, twist-in, cubic zirconia and rhodium-plated sterling silver, clear, 10x9mm textured oval. Sold individually.